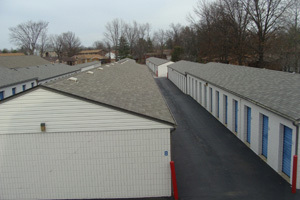 Belleville Storage Center is located in Belleville IL. We're just minutes from Scott Air Force Base, Shiloh, Fairview Heights, Swansea, Freeburg, and O'Fallon. Our goal is to deliver clean, safe and convenient storage options for our customers. We pride ourselves on being a small company that places its emphasis on a friendly environment and delivering a good value to all of its customers. We've been serving this area for over 20 years, and plan to keep offering great storage at the best prices for another 20 years! We are dedicated to providing you with the best in self-storage accommodations. We offer storage units in a clean, secure environment. Our state-of-the-art storage facility features a variety of storage unit sizes to meet your needs, on-site resident manager, and Scott Air Force Base & Military discounts and specials. Our professional management staff will be glad to assist you -- we are here to help!